Take Exit 11, and at the base of the exit ramp, turn left (east) onto Route 2 towards Richmond if you're coming from the south, and turn right on to Route 2 (east) towards Richmond if you're coming from the north (Burlington). You will come to a stoplight in about two miles, which is the Town of Richmond. Turn right at the stoplight onto Bridge St.
Stay on Bridge St heading south for about 10 minutes, which becomes Main Rd, and you will eventually pass through the small hamlet of Huntington, with Beaudry's General Store on your left. Continue south on Main Rd for about 2 more miles. You will come into another small hamlet, and will see a large white barn on your left, which is called Jubilee Farm. In just a few hundred feet, Camels Hump Road will be on your left. 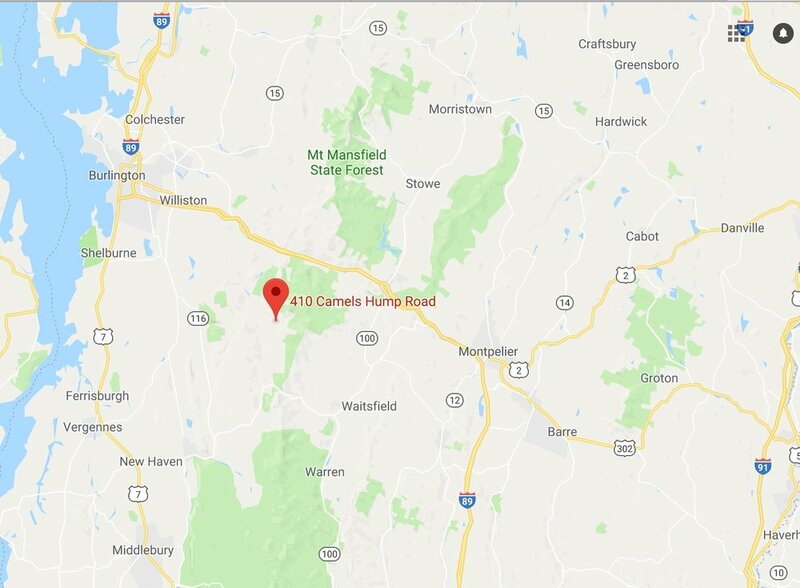 Turn left onto Camels Hump Rd, and travel 4/10 of a mile. You will see two stone pillars on your right that mark SHO Farm's driveway. Turn right, and stay left when the driveway forks (which is about 1 mile long) until you come to the farmhouse. Our home farm number is 802-434-7798. Message us either through Melissa Hoffman facebook page, or email directly to melissa@livingfuture.org.